Posted by Doriano "Paisano" Carta in Email, Social Aggregators, social networks, Uncategorized. There are new social networks for just about everything so it makes perfect sense that there will be a great deal of focus now on our inboxes. Yes, expect tremendous changes to come with the way we use email. Whether it’s webmail on the big players (yahoo, gmail, hotmail) or even on your desktop client like Outlook, email will never be the same again. Here are several new innovative email services that will give you a glimpse of the future of the inbox. Remember, this is only the tip of the iceberg. 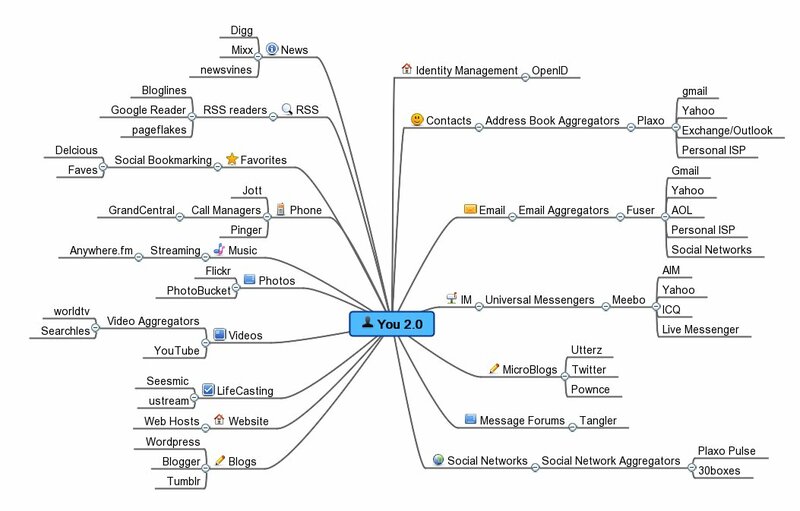 Expect an avalanche of email tools and services to roll down the social networking mountain very soon. Xobni (inbox spelled backwards) actually works inside your Microsoft Outlook email client. It improves searching for emails, attachments and contacts. It also reveals a great deal of information about the people you correspond with via email. One of the best features is the way it creates threaded conversations from your email exchanges. Even the head-honcho Bill Gates himself seems impressed with Xobni. Seeing is believing so checkout this video demo. xoopit does things a little differently. 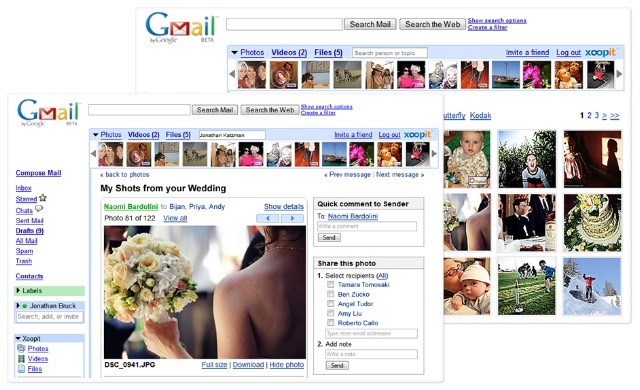 It works with your GMail account (other platforms coming down the road) and lets you easily view all the photos, videos, and files buried in your e-mail as attachments and sent to you as links from across the Web. Zenbe takes yet another approach to managing email. It doesn’t plug into your existing webmail account or desktop email client but offers to host your email and an entirely different tabbed interface. Tripit is an excellent example of new service that integrates extremely well with your email account. In this case, they are a service for travelers who direct all emails related to their trip to their tripit account which organizes all of the tedious details from those emails and presents the data in a more user-friendly manner. Look for all new services to understand the value of using email accounts of their members instead of trying to re-invent the wheel or adding yet another messaging system to manage. Fuser is an email account aggregator that manages all of your different types of email accounts in one place. Add your gmail, yahoo, hotmail and pop accounts along with the messages you receive from social networks like MySpace and facebook. It also supports Twitter and includes a full client which means you can even send tweets from within Fuser. For more details about Fuser, they were covered in Inbox 2.0 in an earlier post. Everyone has an email account so it’s a great idea to try to offer services that work with existing accounts. Whether it’s a plug-in, add-on, or just a connection to your email system, services would be wise to offer ways to work with your existing email account. Eventually, we will be able to do everything from within our inbox. EarthClassMail was NOT invented by Al Gore but I bet he might love using this service! In a nutshell, Earth Class Mail is a service that will scan every piece of mail you receive and sends the image to your email account to review. If you know it’s junkmail then you tell them to shred and recycle it. If it appears to be something you might need to read, then they will scan the contents and email the PDF files. All you have to do is have all mail sent to their facilities and you control everything via your inbox. How green do you want to be? Talk about a new level of tree-hugging. I have to admit that I chuckled when I first heard about this but the idea is slowing becoming less funny and more interesting. Here is the CEO on CNBC discussing the service.